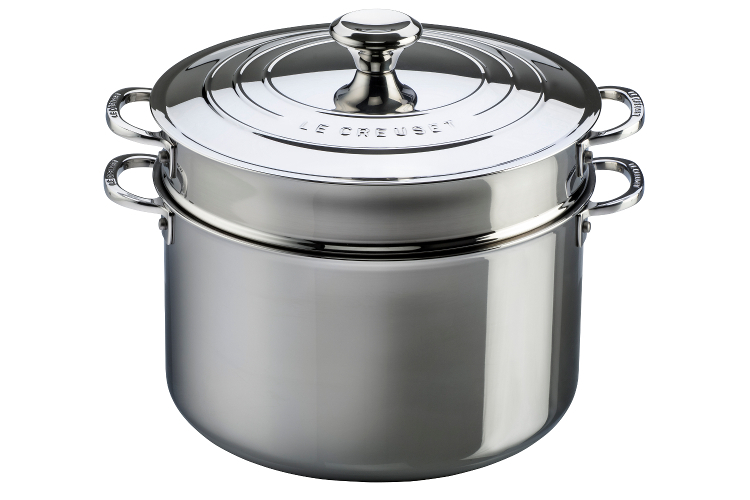 The Stainless Steel Collection from Le Creuset is expertly crafted by European artisans for superior performance. The three layer construction features a full aluminum core bonded between stainless steel. The iconic three-ring design on the lid mirrors the same pattern from Le Creuset’s renowned enameled cast iron cookware. The perfect pair for pasta and vegetables, the Stockpot with Deep Colander Insert adds draining functionality—much easier to transfer cooked items from stockpot to serving bowl.